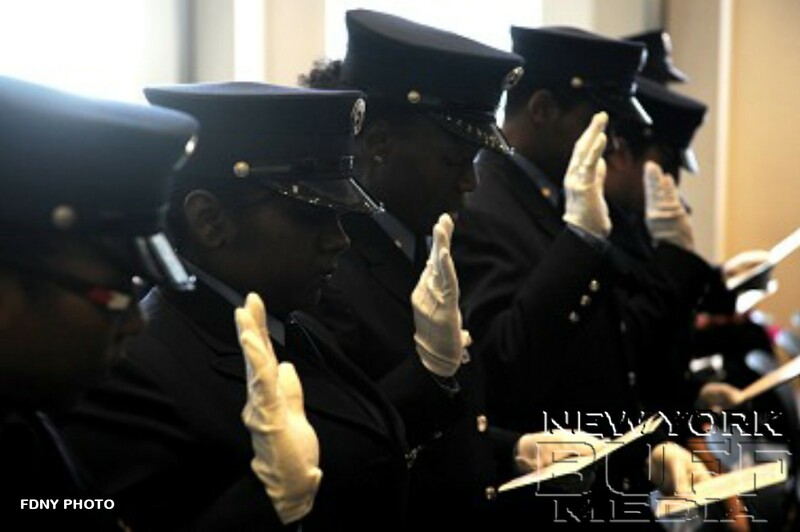 Thirty-five FDNY EMS members were promoted on Nov. 5 at FDNY Headquarters. 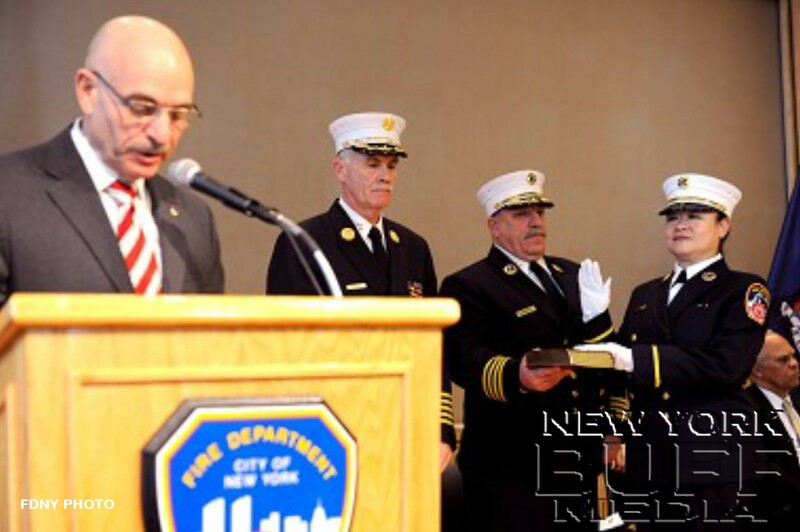 The normally joyous ceremony took a more somber tone in the aftermath of Hurricane Sandy. All the promoted members responded to emergencies during and after the storm hit New York City just a week before, even as many suffered damage to their own homes. Among those promoted were one division chief, 22 lieutenants and 12 paramedics. “As ambulances drove around the storm-ravaged areas, they brought with them a level of stability and confidence to the community – the FDNY was there to look after them,” Chief of Department Edward Kilduff said. As the hurricane recovery continues, these newly promoted members will be assigned to units throughout the city.